LAGOS APRIL 17TH (NEWSRANGERS)-Dr. Mudashiru Olaitan is currently the Director of the Development Finance Department, Central Bank of Nigeria (CBN). 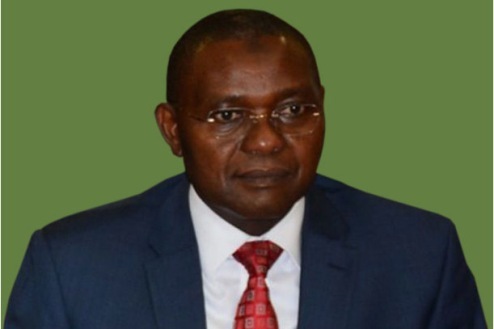 He is charged with the responsibility of implementing the development finance initiatives which involves the formulation and implementation of various policies, innovation of appropriate products and creation of enabling environment for financial institutions to deliver services in an effective, efficient and sustainable manner. In this article Olaitan explains how the CBN in its bid to increase access to finance has embarked on a number of initiatives..
At the Central Bank of Nigeria we are open to attending conferences like the Future Banking Technology West Africa summit, because it gives us insights into emerging innovations in the financial, banking and technology landscape. It also provides an avenue for us to learn about innovative financial service solutions that could enhance delivery of development finance services to clients in Nigeria. As the emerging technologies and programs in the region that are increasing access to finance are necessary, The CBN in its bid to increase access to finance has embarked on a number of initiatives such as Establishment of National Collateral Registry for movable assets particularly for MSMEs and reduce the risks associated with lending to the sector. With the NCR Nigeria’s “getting credit ranking has improved from 32nd to 6th Position and the country is adjudged one of the 10 most improved economies. Credit penetration in Nigeria is currently at 3% according to recent surveys by EFInA, as part of the Financial Inclusion strategy, we hope to improve that number to 40%. This initiative will help towards that objective. The second initiative is Shared Agent Network Expansion Facility, as Nigeria seeks to roll out 500,000 agents across the 774 local governments in the country by 2020, capture 40 million Bank Verification Number (BVN) and rapidly drive Financial Literacy amongst the unbanked. This is to address the gaps of Agent Network, functional Identity and Financial literacy in Nigeria. The third initiative is Establishment of a National Microfinance Bank that leverages Nigerian Postal Service (NIPOST) outlets in rural communities to deepen access to finance. The NMFB will revamp the postal system in Nigeria and make NIPOST agent outlets financial service points across the country. As well as, Introduction of Payment Service Banks – This initiative is aimed at leveraging mobile and digital service to enhance financial inclusion and stimulate economic activities at the grass roots. Promoters are expected to have 25% of their location in excluded areas of the country. Also, non-traditional players like the Telcos and Fast-Moving Consumer Goods companies (FMCGs) can now play in providing Financial services. The new age consumers of financial services in Nigeria demand convenient, fast, affordable, responsive and reliable products from financial service providers. In responding to these demands, the financial and banking sector in the region have begun to innovate, embark on technology transformation and change internal processes to adapt to the needs of their consumers and compete in acquiring new customers. For us as regulators, our policies most constantly consider and reflect the dynamic nature of an increasingly sophisticated consumer base, while also constantly seeking ways to develop policies that will close the financial inclusion gap. To describe the future of the financial industry in Africa considering the advent of automation, Artificial intelligence and big data; we must consider the availability of mobile phones in Africa, which has presented a huge opportunity to reach the consumer more than ever. With Artificial Intelligence (AI) and Big data, customer insights can now be readily available to address specific needs in specific ways. This will bring strongly to the fore, the issue of consumer and data privacy especially amongst the unbanked. To harness these potentials, we need to first address the existing infrastructure gap plaguing the region. Also, we need to look at the regulation space in the region such that it is well be balanced and does not stifle innovation. There have been a lot of discussions surrounding telcos entering the financial space, especially since the CBN launched Payment Service Banks late last year. The primary objective of the Payment Service Bank is to provide Financial services to about 36.6 Million Nigerians who currently unbanked. At the core of the revised National Financial Inclusion strategy are two principles: regulators providing a level playing field, and, promoters playing according to their strength. From the foregoing the intent of this new category of financial services producers is to enable non-traditional players come in and play to their strength with eyes on reaching the unbanked. So, we believe the telcos and the banks have their strengths and this policy will facilitate collaboration for the interest of the stakeholder. The digital financial services changed over the last 5 years. From our experience, a focus on consumer needs is important to increase usage of these technologies. There is a need to constantly up skill our staff to enable them to manage digital platforms and processes. Our interest is and will always be on programs that will help achieve of Monetary stability objective while ensuring inclusive growth and economic development.